Custer Health offers 2 different options for CPR and First Aid. complete a 2-2.5 hour skills check off at Custer Health. Option 2: Face-to-Face CPR/1st Aid: There is NO online training. Everything is completed at Custer Health the day of the class (approximately 6 hours). Print the Certificate of Completion upon completion of the online course as you will need a copy for step two. Call to schedule your in-person check-off held at the Custer Health office (403 Burlington Street SE, Mandan ND). These skills check-off sessions will take 1-2.5 hours to complete (depending on the class). 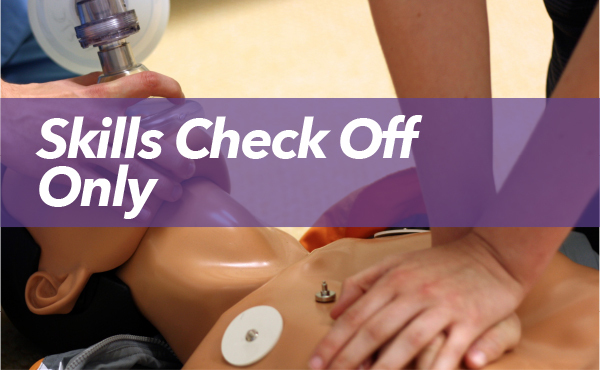 CPR and First Aid check off class: $50. After the items listed above are received, Custer Health will confirm your registration by phone. There is nothing to complete online. All the training/information will be provided in class. These sessions will take approximately 6 hours to complete (depending on the class). If you have a group of 6 or more interested and would like to schedule an additional check off class, please call 701-667-3370 or 1-888-667-3370.701-667-3370 or 1-888-667-3370.